In preparation for an upcoming project, I was asked to look to print media for inspiration. This idea got me thinking about how much can be borrowed and how much can be discarded from our collective traditions around consuming information. 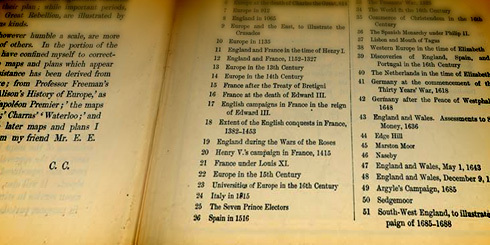 The table of contents is something that has been around for a long time, possibly as early as 82 B.C., and its principle purpose is to provide a way to navigate a lengthy document. By providing section markers and page numbers, users are able to navigate to a given section quickly. In the online world, where search abounds, this concept is being used less and less. The web enables users to jump from document to document, so in many cases an overview of an entire site is simply not required. However, what if we used this concept not as a guide to a site, but more as an appetizer for one? What if the table of contents became a way to tease lots of different content that is constantly being updated? A structure that was a necessity in traditional media can then be re-purposed for a new world. Sound interesting? I think so too.